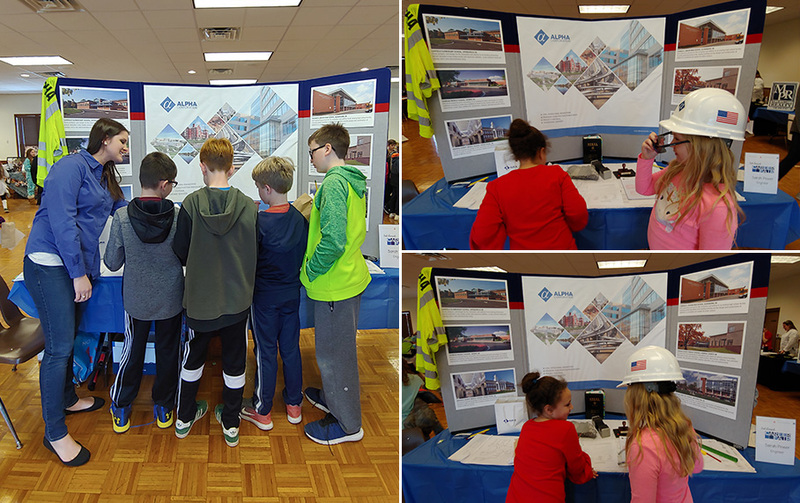 On March 26, Structural Designer Sara Power represented Alpha at the Clarke County Elementary Career Day. Approximately 400 students from two schools in grades 3 through 5 attended the event to learn about a variety of careers. Alpha’s table represented the engineering/construction industry. The children were intrigued by the expansion joints on display, discovered what concrete looks like below the smooth surface, and were shocked to learn what was beneath the wood flooring on which they were standing! Thank you, Sara, for volunteering your time and introducing our youth to careers in the engineering/construction industry!